You are lucky if you are 51st. I suspect the bunnies keep their true numbers secret. With how fast the reproduce and want new sets of DF, you'll never move up the queue. Anyone heard from Josh lately, it's been quite a while? 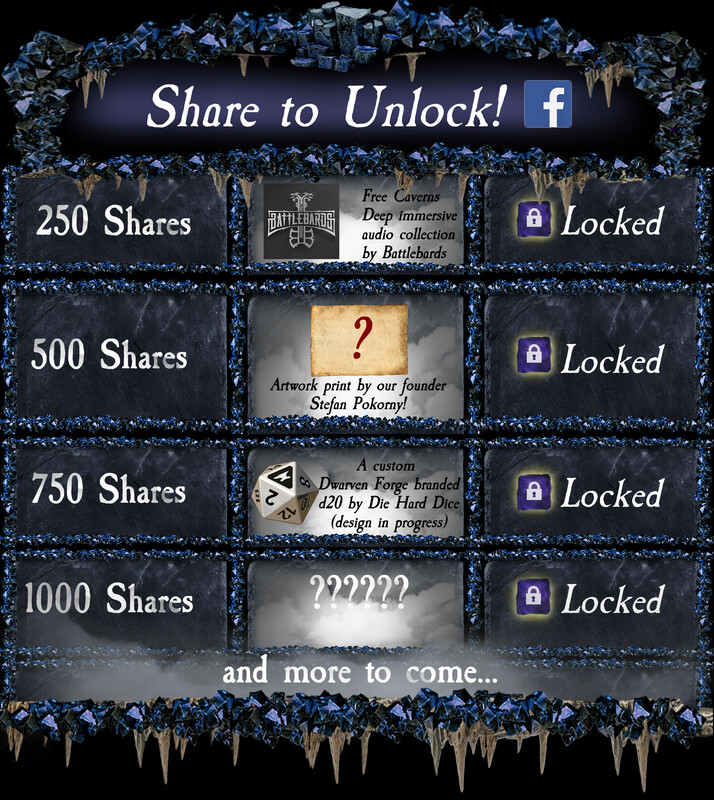 No sure if any of you are on facebook, but we are doing another social stretch goal this year. All you need to do to help is share the post pinned to the top of our facebook page. They probably share one set though right? Or is each bunny pledging individually? How are they financing this? Sounds like some sort of Bunny Mafia to me. I can help here - I can confirm that it's just me interested in getting Erin to paint a single set of Dreadhollow...no big deal at all. The others in this thread are just joshing. Ah ah ah we asked first !!!!! We sense a lot of goodnatured banter and maybe a little light pushing and shoving. At least it will remain goodnatured as long as we are first in the queue capeesh? Forget outsourcing to China, we're gonna outsource to Valoria!